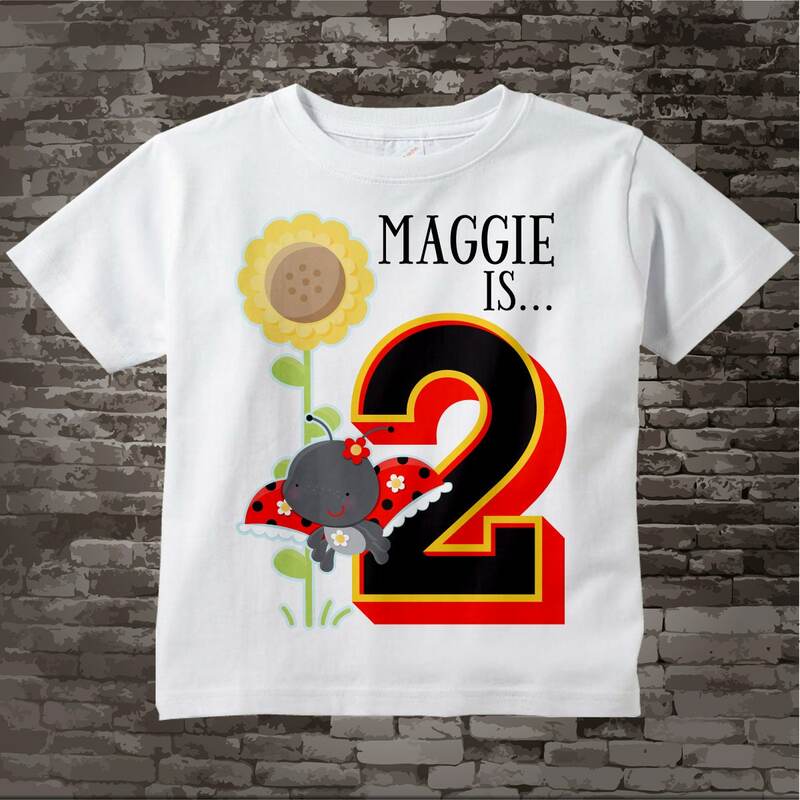 Ladybug themed Girls Second Birthday Number 2 Birthday Shirt. 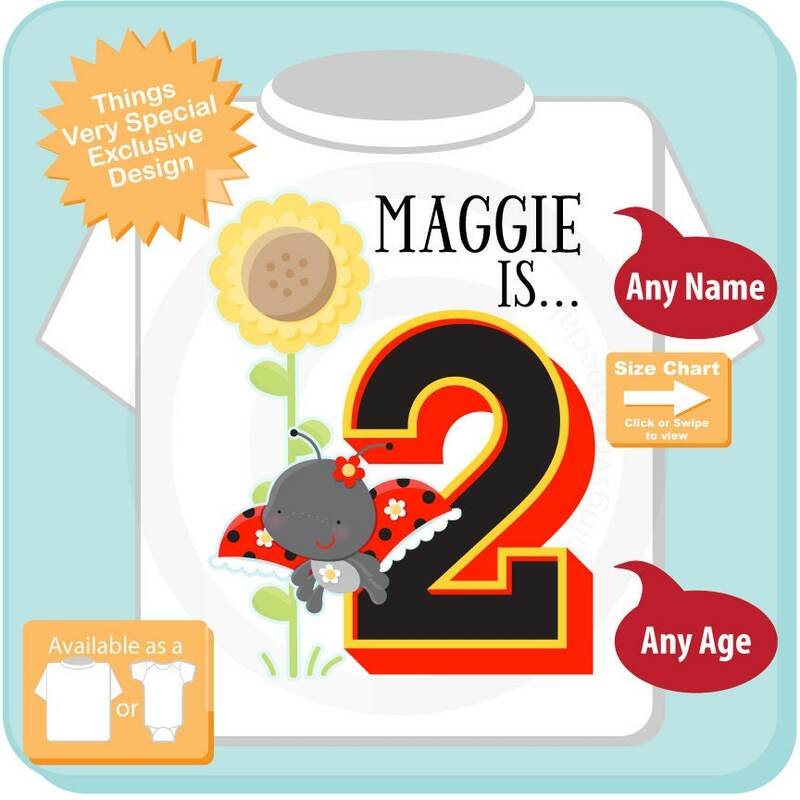 This Tee Shirt or Infant Onesie, can be personalized with any name or with any nickname along with the Big number 2.If your little girl just loves ladybugs, this design is perfect for her. 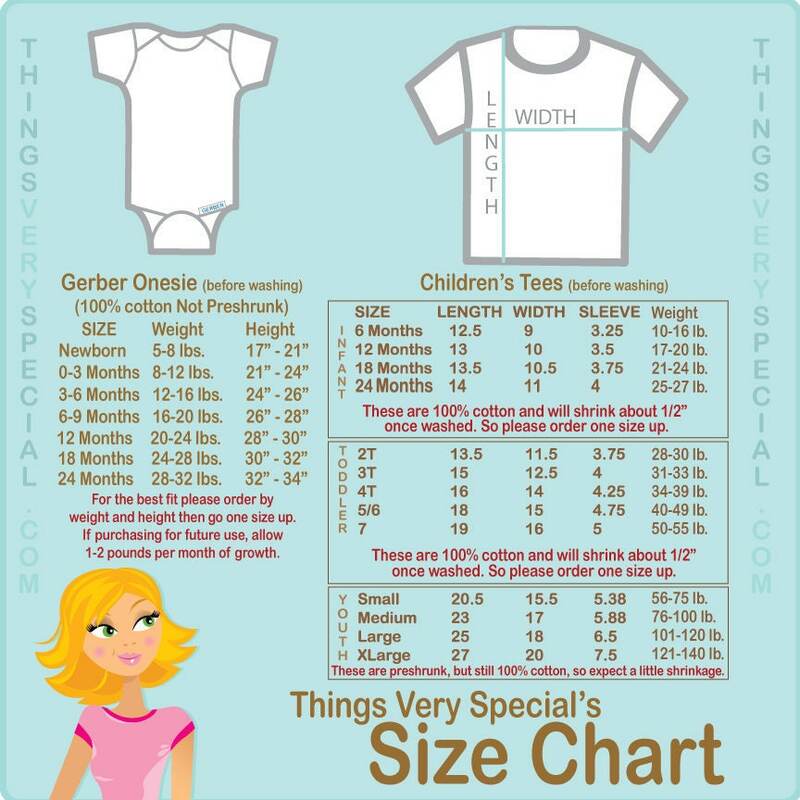 Other ages are available.